Visit one of the Wonders of the World, Victoria Falls. 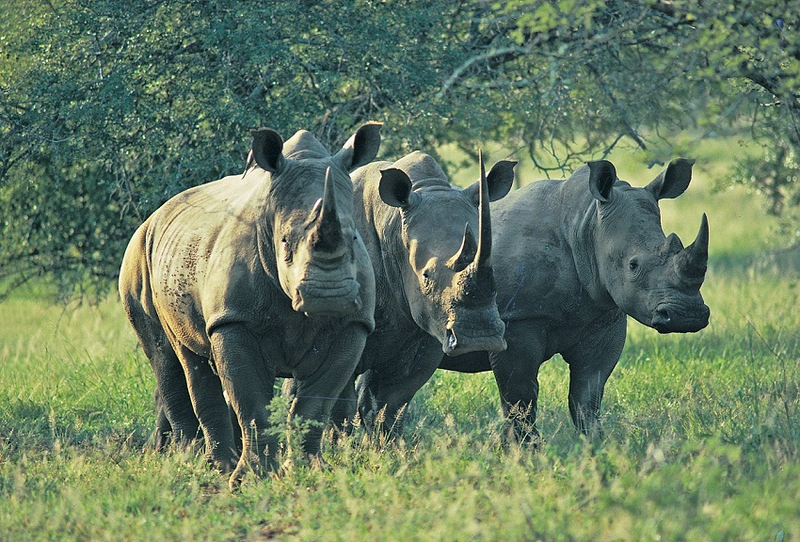 Search for the fascinating and rare black rhino. 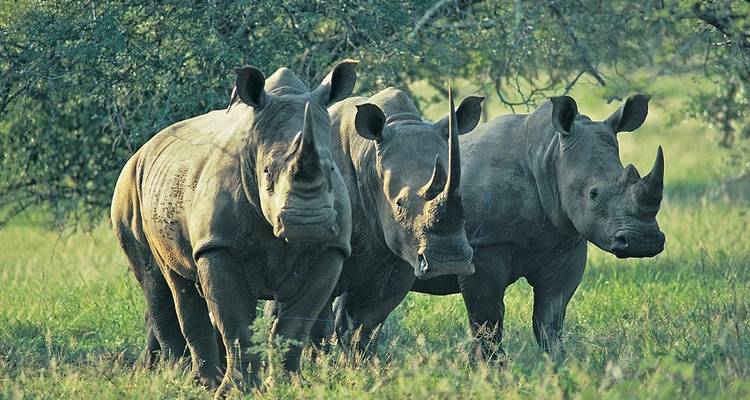 Grab your camera and snap a shot of the Big Five. Explore the islands and waters of the Okavango Delta. Start in Victoria Falls and end in Pretoria! With the overland truck tour Okavango Wilderness Trail Accommodated, you have a 7 day tour package taking you through Victoria Falls, Zimbabwe and 7 other destinations in Africa. Okavango Wilderness Trail Accommodated includes accommodation as well as an expert guide, meals, transport and more. Brilliant tour leader made for such a great trip. So friendly, knowledgeable and went out of his way for the guests.ive done so many tours and by far the best guide I've ever had. Brillant guide, so friendly warm and knowledgeable. Went out of his way for the guests. I've done a lot of yours and by far he was the best. The trip was excellent. I loved traveling throughout Botswana and getting to know the people and landscape. Wonderful tour provides excellent highlights of Southern Africa. Do you offer Visa application assistance? Unfortunately TourRadar is unable to give visa advice due to the vast number of nationalities which our customers represent. Some nationalities can travel freely over borders, where others require advance permission to enter. There are also changes in requirements from time to time. We recommend checking your local embassy or consulate's website for the latest up to date information. At what airport would the preferred arrival point be? This trip begins in Victoria Falls, so you're best flying into the airport there. Should you require any pre-tour accommodation, just let us know and we can request it from the tour operator. "Iam passionate about my job. I love showing clients around africa and talking to them about our rich..."
Recommended for Zimbabwe, Zambia, Botswana and South Africa. Ideally 2 weeks before travel. Recommended for Zimbabwe, Zambia and South Africa. Ideally 2 weeks before travel. Recommended for Zimbabwe, Zambia, Botswana and South Africa. Ideally 3 months before travel. Recommended for Zimbabwe, Zambia, Botswana and South Africa. Ideally 2 months before travel. Recommended for Zimbabwe, Zambia and Botswana. Ideally 1 month before travel. Certificate of vaccination required if arriving from an area with a risk of yellow fever transmission for Zimbabwe, Botswana and South Africa. Ideally 10 days before travel. Victoria Falls is the starting point and Pretoria is the endpoint. 12 is the maximum group size for Okavango Wilderness Trail Accommodated. TourRadar only requires a deposit of $99 to confirm this Acacia Adventure Holidays booking. The remaining balance is then payable 60 days prior to the departure date. For any tour departing before 18 June 2019 the full payment of $1,093 is necessary. No additional cancellation fees! You can cancel the tour up to 60 days prior to the departure date and you will not need to pay the full amount of $1093 for Okavango Wilderness Trail Accommodated, but the deposit of $99 is non-refundable. Covering a total distance of approx 1,557 km.